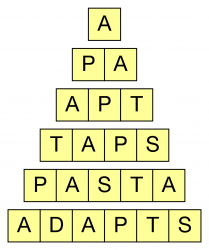 Each level of the pyramid uses the same letters as the level below but with one extra added. 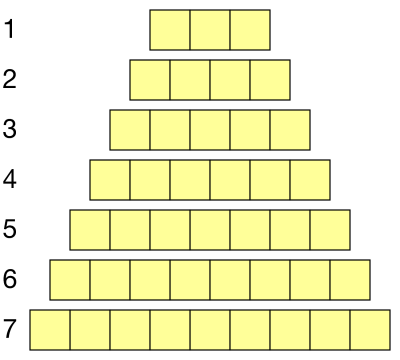 The order need not be the same. 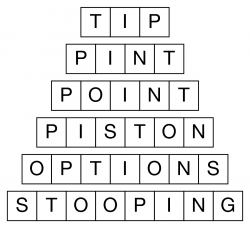 Unlike in word ladder puzzles, clues to each solution word are usually given to help the reader solve the puzzle, and of course these are always essential if the first and last word are not given.